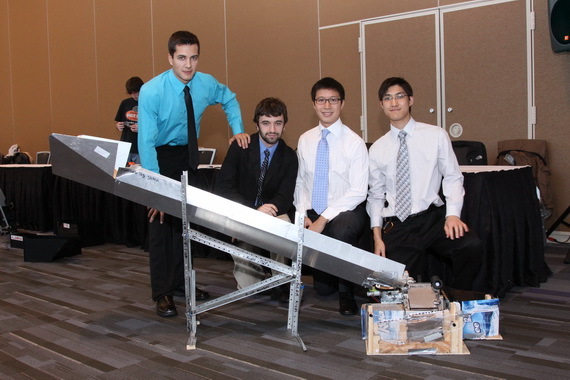 Daniel Mok, second from right, and the team from McGill University. Daniel Mok is a member of the student design team from McGill University, one of a dozen or so teams from throughout North America vying for the top prize at this year’s ASME Student Design Competition, held here at the ASME International Mechanical Engineering Congress and Exposition in Vancouver, B.C., today. Click on this link for an audio interview with McGill University team member Daniel Mok Student Design Competition.